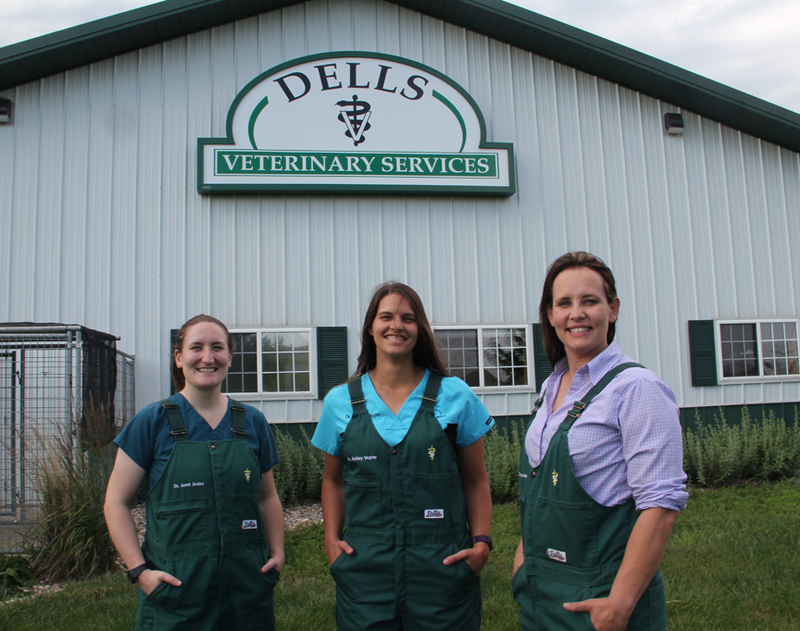 The Dells Veterinary Services family is growing! The duo of doctors is now a trio. Dr. Ashley Vegter joined the Dells Vet team this June. Dr. Vegter grew up on a small crop farm in Illinois. She spent her childhood there taking care of cats and dogs, which grew into a passion of caring for animals. While working on a dairy farm, Dr. Vegter found she enjoyed working with production animals just as much as companion animals. She developed her veterinary skills at the University of Illinois so she could help animals both large and small. Dells Veterinary Services is thrilled to have her at the clinic to be able to help more of the community!